Product is great. Vibrant colors, I just wish the shipping wasn't so much would love it if you could get shipping down or supply to Walmart! We run a dog treat business. These colors are perfect for our premium iced and decorated treats. Dog owners love the appearance and the dogs love the taste. 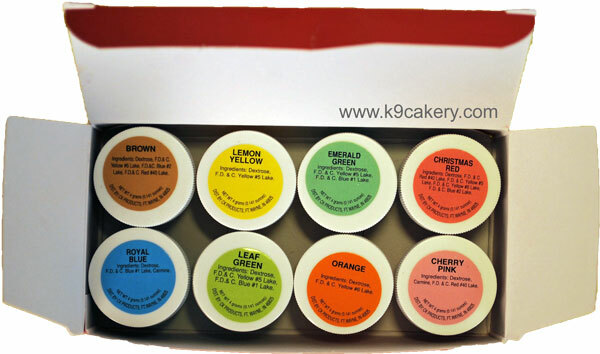 Excellent color product that mixes easy with The yogurt frosting. Very little color needed To achieve the needed color. product mixes well with icing. do not need much for desired color. Good colors. Q: It must be mix with yogurt icing? or can mix with water? Thanks. 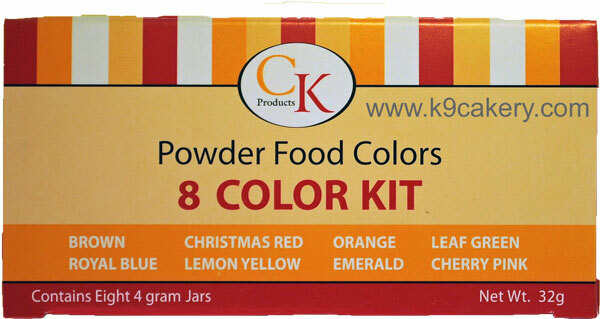 A: These colors are human grade and food safe. They can be mixed with any wet substance including water, yogurt and especially our dog treat icing and dog cake frosting. Q: what are the food colorings made of? A: Ingredients for every product are listed in the product description. Be sure to click on the product to open the full description.